In May 25 of this year, MI Corporation released the legendary UAV product - MI UAV. Leiphone Net got this type of UAV this noon, and carried out a test. During the test, we wanted to know the fixed-point stability of this UAV, so we hovered it at the height of about 1.7m and did the push and pull operation; when we pushed the UAV, it had a sharp shifting, and I instinctively dodged it but fell to the ground. This scene was recorded by my workmate on a mobile phone and uploaded to WeChat; but unexpectedly, the video of this “failed test” was extensively transmitted, which had received a huge repercussion. As the protagonist in the video, I really didn't expect to experience a feeling of "web celebrity" in such a way. In fact, when testing the UAV, we took a lot of photos and recorded a lot of small video, which were also uploaded to WeChat, but only the small video of “Been pushed over by UAV” was widely transmitted. In the 5-odd hours after the video was uploaded, it was transmitted by various Groups in this industry, and the comments in WeChat’s Circle of Friends were also very impressive; as the protagonist, I was also pulled into various Groups, and in the comments of these forwarders, I saw a lot of skepticism of many DJI senior users or professional UAV players on the specialty and technology of MI UAV; such a mass of transmission was unforeseen by us. For the reason of "failure in testing" in the video, I also inquired the relevant technicians of Fimi Tec, and asked them to give me some explanation at the technical level. The reason why the effect of offset in the video appeared was that when the operator pushed UAV, the action point of the force is at one end of the foot frame, the acted direction of force was not radial, so it produced a rotating moment, and at the same time, the radial force made the position of UAV be offset; therefore, in order to adjust position and posture, the UAV rotated and flew back, resulting in the scene in video. 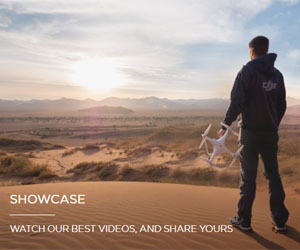 Secondly, after the wide spread of this small video, a friend sent me a similar action test video of DJI Phantom 4 (in addition, some rivals made the similar Marketing Videos immediately to spread by this affair; it can't be said that this behavior is not good, but it’s somewhat dishonest ). 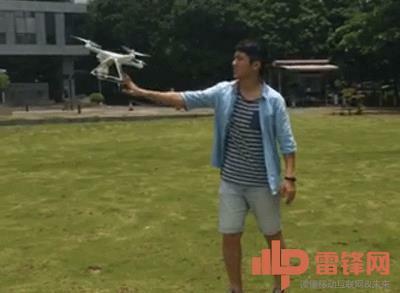 In the video of DJI P4, the operator adopted a way of dragging rather than pushing forward. The reason why the amplitude of MI UAV’s flying back was larger than that of DJI P4 was mainly because of their characteristics. The wheelbase of MI UAV is larger than that of DJI P4, which is beneficial to the self stability and energy efficiency of the aircraft; and the MI UAV adjusts the handle at a relatively soft state, which is mainly for the good stability effect when encountering a strong wind, so the movement amplitude of MI UAVs relatively severe. In addition, I also consulted an UAV player who said that DJI P4 had two sets of binocular sensors, which could play a role when meeting the barrier; if there is an object in front of it, the UAV will stop automatically, and these two additional groups of sensors are also one of the reasons why DJI P4 is more stable. However, the price of DJI P4 is two to three times higher than that of MI UAV, so in my opinion, the comparison on this aspect does not have any practical significance. 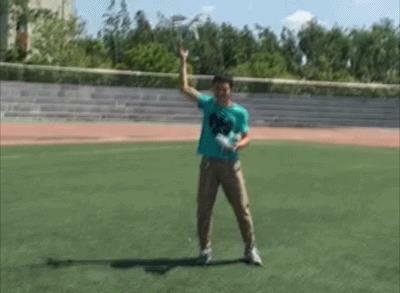 As for the test of UAV’s fixed-point effect, I did make a wrong demonstration in the small video. The correct test posture should be that to raise the UAV to a height of about two meters, so that even if the UAV make a shifting, there will still have enough space for its adjustment, and the probability of injury to the operator will be greatly reduced. In the shifting operation, the operator needs to pull the UAV to one side rather than pushing it (you can compare the two videos, and you will see the difference in our operations). Because the trend of UAV’s flight is opposite to the force, if the operator propelling it, it will fly in the direction of the operator, which is dangerous to the operator; on the contrary, if using the method of pulling, the UAV will fly in the direction of away from the operator, and the UAV can be always pulled by hand, so even if aircraft’s attitude is tilted, the hand can still play a fixation role, and the short-term acted force on the UAV can be balanced. When the operator let go the UAV, it will fly back to its position, which can greatly reduce the probability of human injury. Finally, for the results of the test at noon, objectively speaking, the MI UAV’s operation is very simple for the novice; it only took the testers of Leiphone Net (search for the Official Account of "Leiphone Net") a few minutes to browse the instructions before they could basically carry out the operations such as flight, aerial photography, and so on; the flying time had been over 20 minutes, and the UAV had also had a certain hover stability. There were also no problems for the several times of pulling operations prior to the failure. This small video is just the tidbits of the failed test, and the main reason is mainly because of my personal misoperation; you can treat it as a funny video, but this behavior is really very dangerous; do not imitate it! By the way, I’m advising everyone that: do not be overconfident in the machine, and no matter how stable the UAVs look, please do not try the stupid and dangerous action in the "failure test video". In the operation specification of UAV, the action of pushing UAV by hand in this way is very inappropriate and extremely dangerous, and this action is not only pointing at MI UAV, it is also very dangerous for other brands of UAV. When testing an UAV, you must operate it according to correct standard posture; otherwise, in the event of an accident, it may become a big problem. Lantech Systems and Communications Ltd.